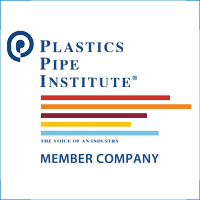 Pipes made from Polyethylene (PE) is a cost effective answer for a number of piping problems in Metropolitan, Municipal, Industrial, Underwater, Mining, Landfill Gas extraction, Cable duct and agricultural applications. It has been tested and proven effective for underground, above ground, surface, under water as well as floating pipe applications. Polyethylene pipes both High Density (HDPE) and Medium Density (MDPE) can carry potable water, wastewater, slurries, chemicals, hazardous wastes, cables and compressed gases as well as oils. Polyethylene pipes have a long and successful service experience to the gas oil, mining and water utility industries. PE pipes have the lowest repair frequency per Kilometer of pipe per year compared with all other pipe materials used for urban water and gas distribution. Jain PE pipes are strong, extremely tough and long lasting. Jain PE pipes will meet all your requirements of long service, trouble-free installation, flexibility, resistance to corrosion and chemicals.